Bully 4u has established an excellent reputation in the provision of anti-bullying services for primary and secondary schools in Ireland. 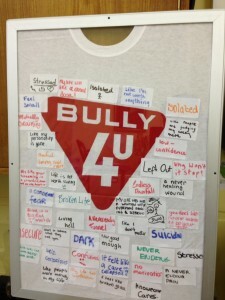 Bullying and Cyber Bullying Workshops for Students at Primary and Post-primary Levels. Information Evenings for Parent’s Associations. Training for Teachers and Staff. Assistance with Anti Bullying Policy.